Linux is a free, open source UNIX like Operating System .Most of the server run on Linux Operating System because it has better security then windows.Linux give more preference to security rather then Design and all.There are many ways to install Linux but i will show you the simplest and easiest way to install Linux . Step1:- Download the Ubuntu Linux Operating System. Step2:- Now Download and Install IsoRecorder. and burn Ubuntu.iso file on blank CD . Step3:- Once you have Downloaded Ubuntu.iso and Install IsoRecorder software to make image of Ubuntu on CD. 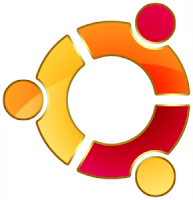 Step4:- Click on Copy Image to CD and click next it will make an image of Ubuntu on CD . Step5:- Reboot your System and Restart your System and go to the Boot Menu and select CD ROM. Note:- In Acer system click F12 to go boot menu. In some system it is not possible then you have to Select "Boot Sequence" and Make sure that CD-ROM is set first or at the top if not move it up .Your CD-ROM Should work before your hard drive. Step6:- Now go to CD-ROM double click and open ubuntu CD and click on Install Inside Windows. Step7:-Now Install it and Reboot.That's all you have successfully install Ubuntu on your System and your system is fully protected from viruses and worms . Step9:-Ubuntu will begin to load Since this is your first time starting Ubuntu it will install and configure this will take time for few seconds and restart again.